« Will Apple’s September 9 Event Promise One More Thing? For the last three years, we’ve been wondering why Paris Hilton was the first celebrity podcaster. 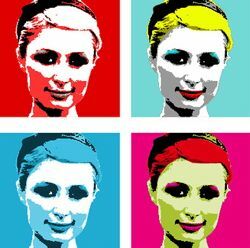 You may recall that, back in 2005, when most people had no idea what a podcast was, Hilton was featured in The Paris Hilton Podcast, considered by some to be the worst podcast of all time. Now a new survey – the 2008 Mendelsohn Affluent Survey – may offer an explanation. The higher your income, the more time you spend using the Internet. Paris Hilton, and high-income people in general, have moved their attention to Internet media and are leaving broadcast television behind. 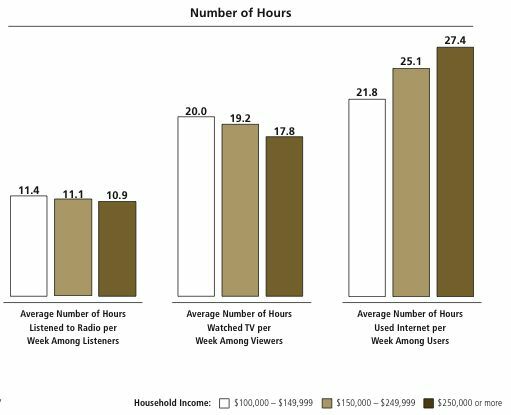 The rich spend nearly twice as much time online as they do watching television, and nearly three times as much time online as they do listening to radio. This is a key trend for advertisers and those in new media; if you want to get the attention of people with money, you have to do it online. The Mendelsohn focuses solely on the top fifth of U.S. households, based on household incomes ($100,000 or higher in 2007). This group is one of the most desirable demographics for retailers, because it accounts for a large proportion of the total household income of the United States. More discussion at Ad Age. We might be dating ourselves, though, to call Curry a celebrity. He’s keeping busy now as an entrepreneur and “podfather”.